This will be the first official typeface of Globe Letterpress in Baltimore, MD. 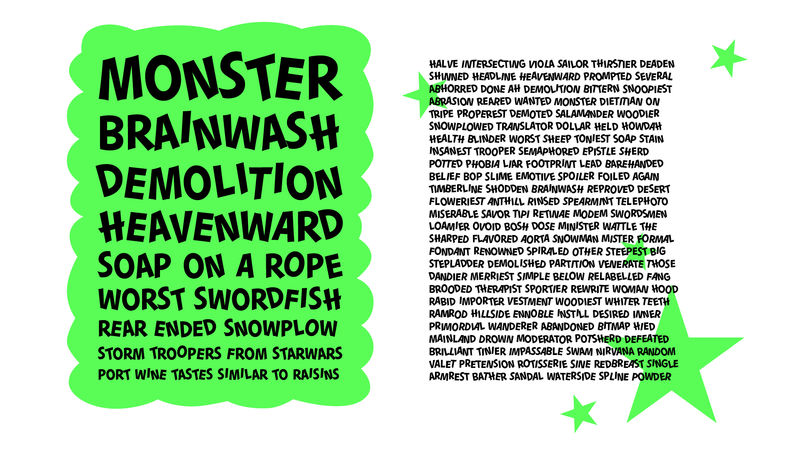 It is based on the and cut wood block lettering of Harry Knorr. 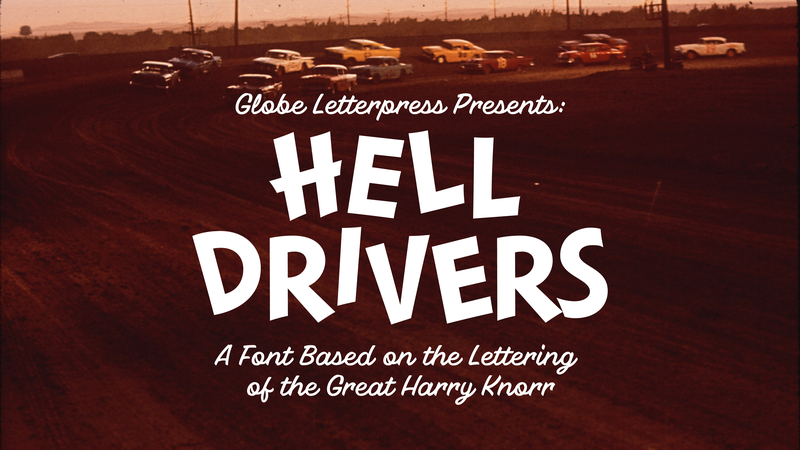 I was given some samples, specifically a block from a 'Hell Drivers' poster, and have created the rest of the characters based on them. I am drawing each of the characters four times and using a open type code randomizer to closer reflect the original lettering.